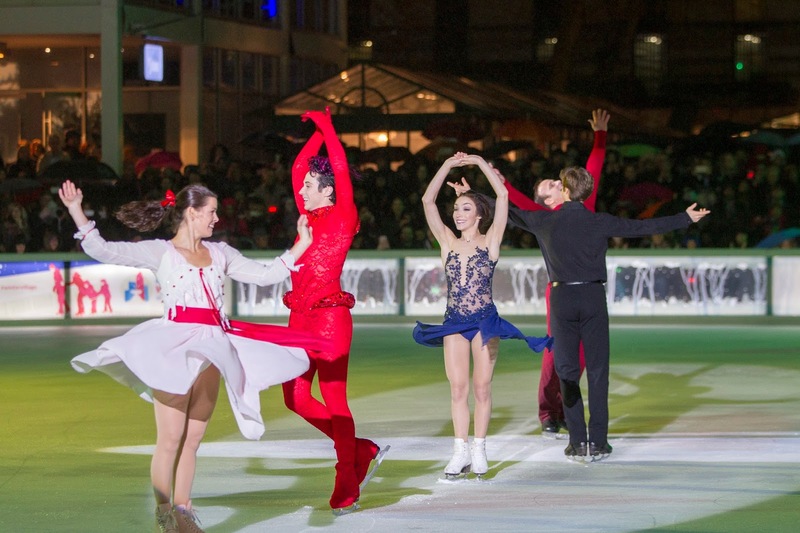 2015 has been a record breaking year at Bryant Park. 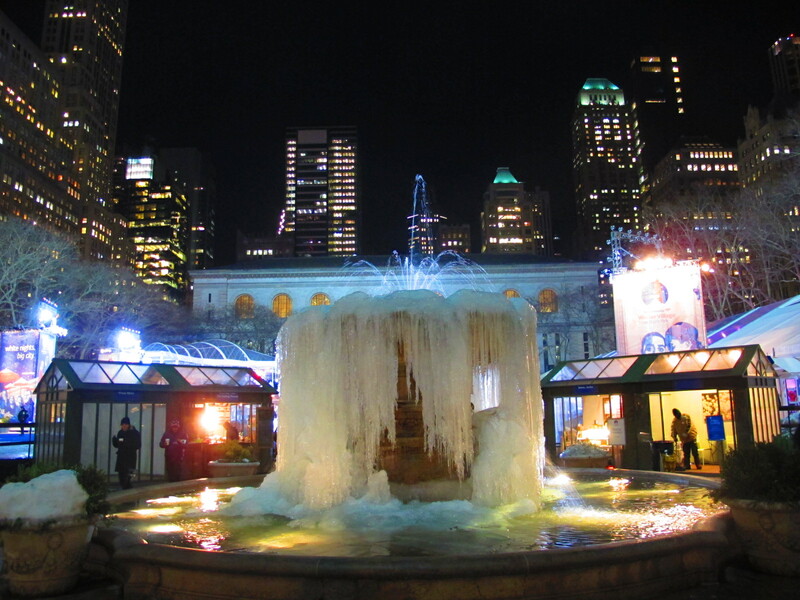 Last winter, one of the coldest in memory, saw gorgeous snowfalls and a spectacularly frozen fountain. This summer, we saw a huge number of new and expanded programs. More visitors came to the park than ever before, and attendance at our events swelled. There was also plenty of quiet time, where a relaxing lunch and sunbathing on the lawn were the main attractions. As we close out a fantastic 2015, we take a look back at the highlights of our park year. Celebrity yogi Dan Nevins teaches a Thursday Bryant Park Yoga class on the lawn. 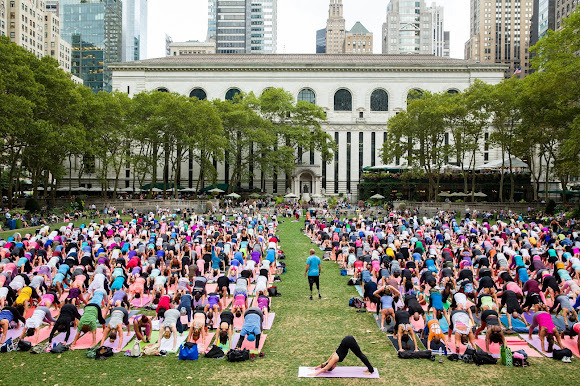 The series brought superstar yogis and workshops to the park. 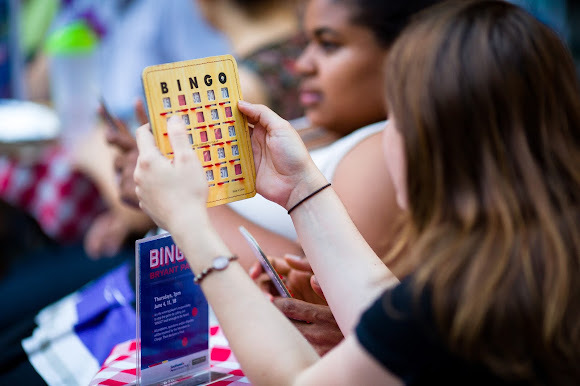 Bryant Park Bingo returned to the park for its sophomore year. 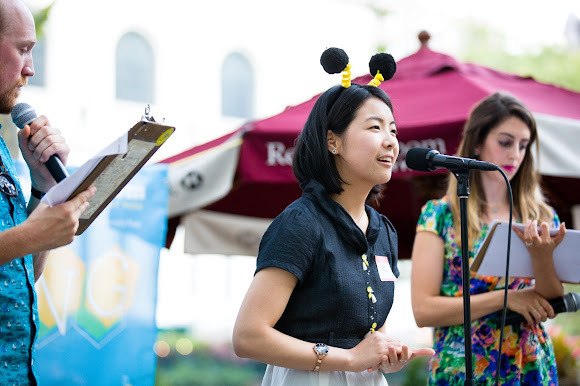 Bryant Park's first-ever Spelling Bee was one of three new programs at the Reading Room this summer. Bryant Park Birding Tours spotted a rare Chuck-will's-widow this year, and along with other sightings brought the total number of species spotted in the park to 120. 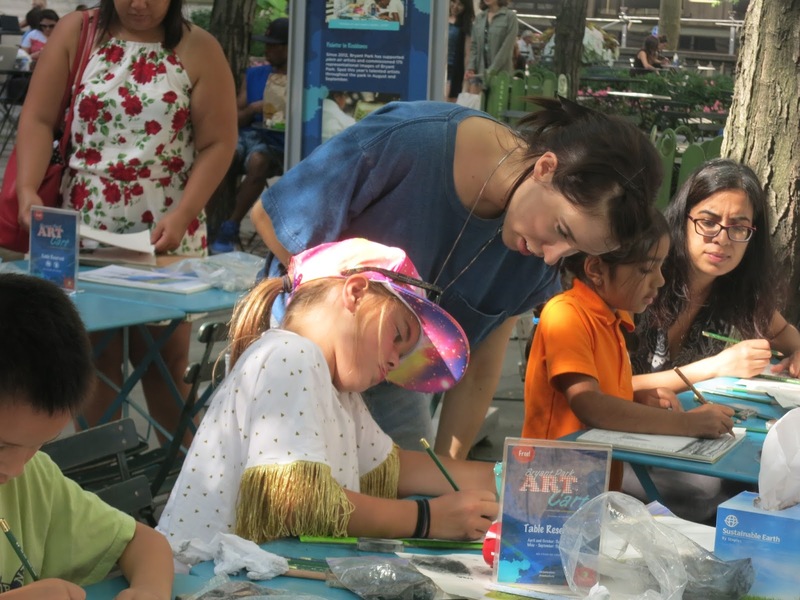 Bryant Park Art Cart offered twice-weekly drawing and structured play sessions. 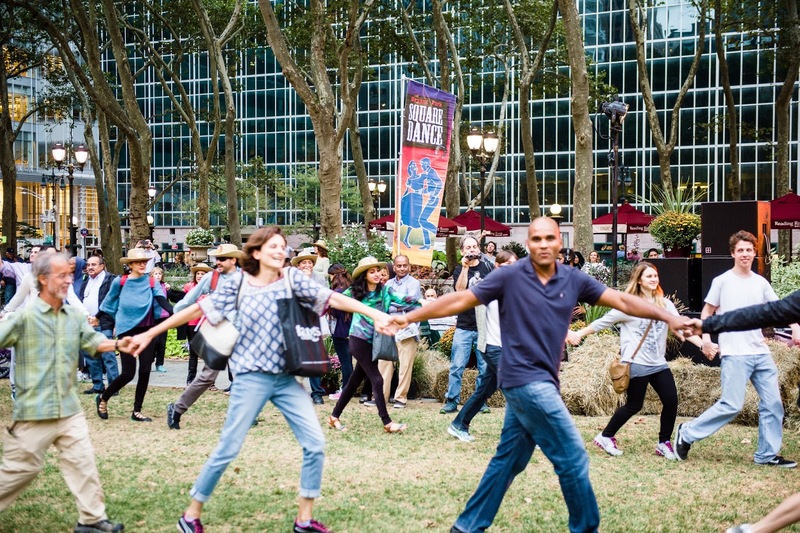 Bryant Park Square Dance saw an expanded lineup and 3 days of a mechanical bull. Who could forget how spectacularly the Fountain froze this year? We'll be bringing back our Frozen Fountain contest this year, so keep an eye out on the blog for details. This year's Tree Lighting featured a unique story by an award-winning playwright and Olympic skaters. We're looking forward to sun-dappled days in 2016.